The invention of headphones has fundamentally changed our relationship to music. For the first time in history, listening to music is not a public activity, but a private one. Dozens of people can sit in the same room and each experience music according to their personal preferences. Metal, Jazz, Hip-Hop, and Country all happening simultaneously only a few feet apart. Headphones make it possible for us to only listen to the music we like and to ignore our neighbor’s preferences. Technology is not neutral. It entails both gain and loss. The privatization of music made possible by headphones has created a new set of expectations. We expect to only listen to the music we prefer. We are used to being able to tune out the music we do not like. Since I do not like country music, I expect to never have to listen to it, regardless of whether most people I run into on a daily basis enjoy it. These changing assumptions have crept into the church. 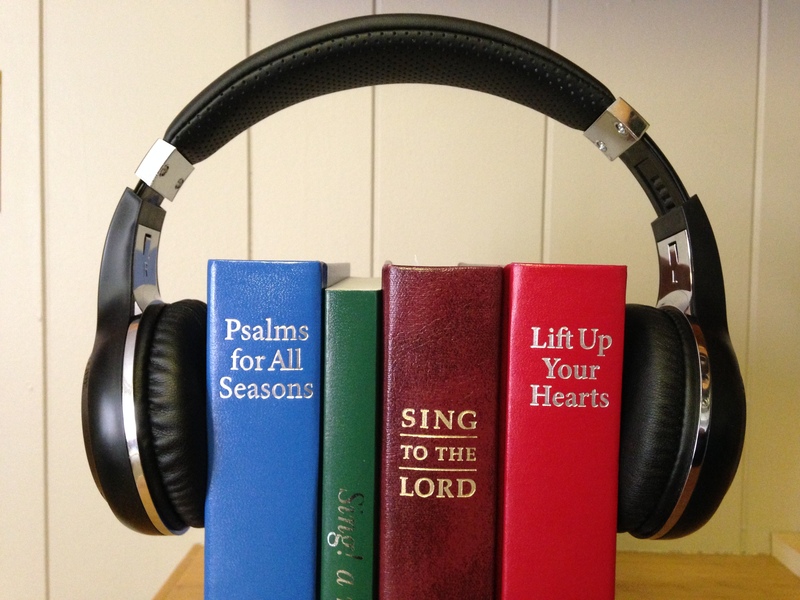 We debate and divide over the style of music in worship. Each of us wants only to sing the type of songs that we enjoy. We desire (or ‘expect’) to sing only those songs that help us draw closer to God and praise him in worship. Style and genre become points of tension is church music, I believe, in part, because we are used to having our own way. We are used to headphones, which do not require us to think of our neighbor. Through this technology, we have been conditioned to consider music as a private experience that should be shaped solely by my personal preferences. But when Christians gather for worship, there are no headphones. We gather as the body of Christ and sing and pray together. Music is not a private affair in the church. It is public. Some of us sing well, some of us not so much. Some of us love jazz, some bluegrass, some rock. Some love the organ and some hate it. Some want ‘traditional’ and some ‘contemporary’ (whatever those words actually mean). And yet, we sing together. No headphones. Side-by-side with our neighbors. There are no headphones in heaven. The twenty-four elders sing together. We are given the words, but not the tune. Maybe it will be to a swing beat or an old spiritual, maybe there will be a synthesizer, or maybe a massive organ shaking the throne room. Or maybe no instruments at all. Maybe it simply won’t matter. We will be in the presence of the lamb around the throne of the Most High. Our worship today anticipates that day. We worship together, side-by-side with our brothers and sisters in Christ. No headphones. Worshipping together includes considering our brother in our music. My preferences are not what is most important for worship. Maybe loving my neighbor means sacrificing my preferred style of music so that they might worship God more fully. And maybe my neighbor will love me by doing the same. As the body of Christ worshipping together, Christ calls us to love one another. That love includes setting aside our headphones and all the assumptions that come with them, and embracing our sisters, our brothers, and their music so that we all may worship the King together.